Despite the Disney and 21st Century Fox inches closer to closing, 21st Century Fox still has a couple of superhero movies left in the queue. Gambit, Dark Phoenix, and The New Mutants are all upcoming Marvel movies. They’ve also recently released another Marvel movie. That movie? Venom! Venom is the story of Eddie Brock (Tom Hardy). Eddie is an out on his luck internet reporter who encounters the alien symbiote of Venom. Venom then takes Eddie as a host. The Venom movie is filled with a lot of action. It’s also more fun than the critics let on. And, there are plenty of leadership lessons in Venom the movie. Let’s take a look at those leadership lessons in the latest Reel Leadership article. Then we heard the news: The servers had crashed at the Celebration Cinema corporate headquarters. This meant the movie was going to be delayed. Many people consider the digitalization of movies in the theater to be a huge step forward. For the most part, this is a great technological advancement. Yet it still presents challenges. Because the servers crashed at the headquarters, theaters across Michigan suffered an outage. Movies stopped playing and people became upset. I think back to the days of movies on a film reel. When one of the films broke, only one theater in the cinema was crippled. Technology now brings down multiple cinemas across the state. Be careful of relying too heavily on technology. If the technology you’re relying on fails, you could be on the sidelines for quite some time. Anne and Eddie were a couple. They’d been dating for quite some time yet they still lived a pretty adventurous lifestyle. However, they still couldn’t escape the mundane tasks of life. Anne had to remind Eddie to feed their cat. No matter how exciting your life gets, you will have mundane tasks to do. This could be feeding the cat, taking your dog for a walk, or mowing the lawn. You cannot escape the everyday items of your life. Be ready to embrace them. Because of Eddie’s position, he went from news story to news story. He was constantly called on to travel and move to the next thing. His job felt like a never-ending mission. Even if he wanted to take some time off, he felt like he couldn’t. There will be times when your position of leadership will feel like Eddie Brock’s job. It will feel like your role as a leader never ends. Know this is only a feeling. You have control of your life and you can choose when to put your leadership position on hold. There’s no such thing as can’t. As Eddie darted from one news story to another, he would ride his motorcycle to the next scene. There, he would encounter resistance. In one scene, Eddie was told he couldn’t park his motorcycle where he had. Eddie’s response? There’s no such thing as can’t. Eddie saw the world as a world of possibilities. He wasn’t limited by can’t. He only saw what could be done. Are you seeing a world of can’ts? If you are, change your mindset. See the possibilities. Tell yourself can’t isn’t your way of thinking. Then look for ways to make things happen. You can do it! I’m going to do my job. That’s what I do. When Eddie had the opportunity to interview Dr. Carlton Drake (Riz Ahmed), the head of the scientific organization the Life Foundation. Anne discovered this and asked Eddie a direct question: Are you going to behave? Eddie answered as only Eddie could: I’m going to do my job. It’s what I do. Leaders cannot always be the nice guy. They have to get things done. This may require them to be brash, harsh, or stern. It’s not an all the time thing. But it is a required facet of leadership. That’s okay. Don’t silence her. A class of young students was touring the Life Foundation. They had the opportunity to meet with Dr. Drake. One of the girls had the gumption to ask Dr. Drake a question. As Allie (Amelia Young) asked her question, her classmates began to hush her. They didn’t want her to speak up. Dr. Drake had a different response. He welcomed Allie’s question. Had Allie kept quiet, she wouldn’t have had the opportunity to talk with Dr. Drake. Fear can hold you back from doing a lot of things. One of those things is meeting the leaders you admire. Fear will tell you to not ask your question. Or to not approach her after her speech. Or to not send that email introduction. Be careful listening to the silencing power of fear. It’ll hold you back from meeting awesome people. Eddie began his interview with Carlton Drake innocently enough. He asked a question about the rockets that had been sent to outer space. He then questioned Drake about the Life Foundation and the deaths caused by the foundation. The questions didn’t start out hard. Yet they ended pointed and direct. Hard even. When you need answers, don’t be afraid to ask the hard questions. Without the hard questions, you won’t get the truth. There was a young, homeless lady named Maria (Melora Walters) whom Eddie passed on a regular basis. She would take all of the free papers from the newsbox and try to sell them to passersby. After Eddie checked the newsbox, Maria offered to sell Eddie a paper for $5. Eddie balked at the idea and told Maria the papers were free. Maria countered with the price of $1 and a song. Eddie said he’d give Maria $20 not to sing. While Maria didn’t know Eddie would offer her money not to sing, she knew she could get money out of Eddie. She was willing to go back and forth with him on the price. How willing are you to go back to your suppliers and vendors and negotiate a better price? You need to. You would be shocked at the savings you would be able to obtain with a little time on the phone. Negotiation allows you to create a win-win situation for you and your suppliers. You get a better price, they get a loyal customer. Be willing to make the ask for a better price. You learn Dr. Drake isn’t a good guy. In fact, he’s a very bad guy. He begins to tell a young man by the name of Isaac (Jared Bankens) the Biblical story of Abraham and Isaac. He shared this story with Isaac to manipulate him into becoming a host for the blue alien symbiote. This led to the death of Jared. Dr. Drake knew this was the most likely outcome but didn’t care. He needed Isaac to do what he said. Be careful of the way you get your team members to work. Manipulation is a bad route to go. People will get hurt from your manipulation, this could be mentally or physically. They’ll also learn your manipulation tactics and turn on you. Use more effective ways of leading your team. Learn how to motivate your team by rewarding them for doing the right thing. Isaac was one of the first victims we see of Dr. Drake. He wasn’t the last one. Dr. Dora Skirth (Jenny Slate) also died because of his desires. 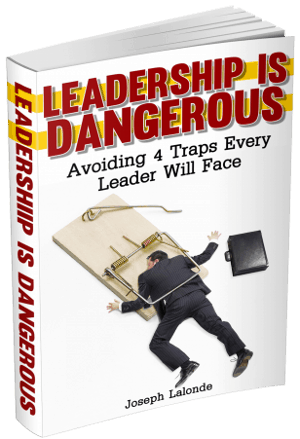 Bad leaders leave broken and hurt people in their wake. They also don’t care about the hurt they’ve left. Check your motives as you lead. What are they? How are they motivating you? What are they doing to those around you? If you see a wake of bodies behind you, you need to check yourself. And change your style of leadership. You did this Eddie. Not Carlton Drake. Not the network. YOU. Anne laid out a harsh truth for Eddie. It wasn’t someone else who caused Eddie’s pain. His pain was due to the actions he had taken. He chose to ask Carlton Drake the questions he did. He chose to look at a confidential document on Anne’s computer. And he chose to disobey the orders of his boss at the network. His choices led to him getting fired. And to Anne breaking up with him. You have to realize you are the one making the choices in your life. You cannot blame others when things go wrong. It’s your responsibility to look at yourself. See the role you played in the story. And then you have to accept your part. Your responsibility. Dr. Dora Skirth had helped Eddie into the Life Foundation building. Guards at the Life Foundation soon discovered her role in the break-in. When Dora was brought to Carlton, she confronted him with what was happening. Carlton made Dora a promise. The foundation would begin doing things differently. Because of Drake’s promise, she gave up Eddie. She told Drake it was Eddie who had the symbiote. Drake’s promise was quickly broken. He had Dora given to another symbiote and she was soon dead. You have to be careful of the promises you make to others. Your word is your bond. It’s part of your integrity. The less you keep your word, the less ethical people will see you as. They’ll see you constantly lying or backtracking. And they won’t trust you. Be a person of honor and integrity. Keep your word. The Venom symbiote told Eddie to apologize to Anne. Eddie didn’t want to apologize, at first. He finally relented and apologized to Anne. We can let pride get in the way of making things right. One of the ways you can make things right is to apologize to those you have hurt in the past. Muster up the courage. Go to those you have wronged. Apologize. Ask for forgiveness. Drake demanded Eddie tell him where the Venom symbiote was. Eddie wouldn’t budge. He kept his lips zipped. Why? Because he didn’t trust Drake to keep his word. Drake’s history and lack of integrity was the reason Eddie wouldn’t talk. Your team members will be hesitant to tell you the truth if they don’t trust you. They will fear repercussions. Or they will expect nothing to be done. The trust of your team is a strong motivator for them. Build trust with your team. Help them to see you’re trustworthy. And they’ll begin to trust you. There were millions of symbiotes waiting to come to Earth. Venom desired to go back to space so he could bring them back to Earth and colonize the planet. Yet he chose to help save Earth from another symbiote, Riot, and prevent the other symbiotes from getting to Earth. He had a change of heart. But why? Why did Venom change his mind? Because of Eddie. The people you lead may have different opinions. They may be stubborn, even. This doesn’t mean you can’t influence their decisions. If you work hard, prove yourself, and show you care, you can begin to change the minds and hearts of those you lead. Be willing to work to win the hearts and minds of your people. You will be rewarded. Question: Have you seen Venom the movie? If you have, what leadership lessons did you discover in the movie? 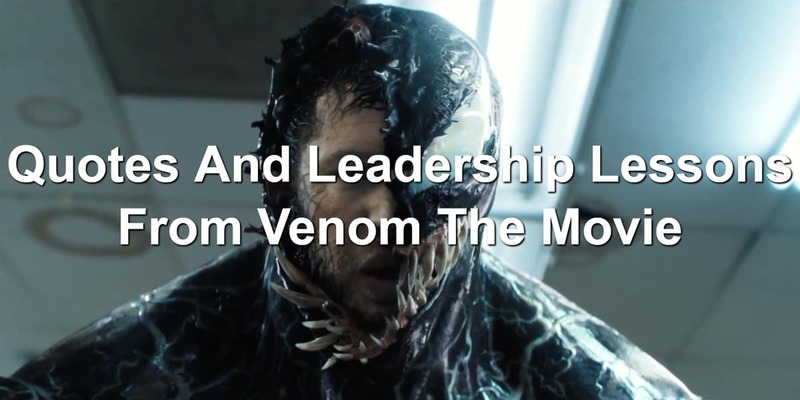 If you haven’t, what leadership lessons from Venom that I shared resonated with you? Let me know in the comment section below.